Informative declaration in accordance with art. 13 of Legislative Decree no. 196/2003 regarding the processing of personal data and consensus to process such data. 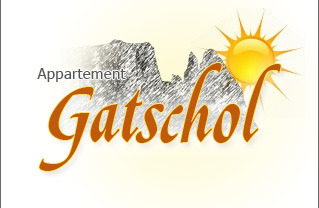 Data are being acquired here in order to register the person involved and to initiate a service through which said person will receive information about offers, prices and similar initiatives pertaining to the Apartment Gatschol. Even though providing such data, which will be processed by means of electronic procedures, is not mandatory, not agreeing to furnish such information will make processing by the handler impossible. The person involved can request to update, correct and supplement incomplete or inaccurate data, and to cancel such data when the processing violates legal standards or regulations, and can exercise the other rights established by art. 7 of Legislative Decree no. 196/2003 by contacting the owner of the processing, the Apartment Gatschol.